If your wedding is small, you can create an intimate gathering to celebrate your marriage. 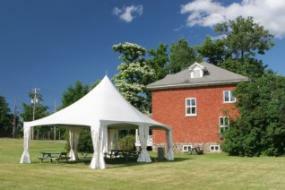 Smaller weddings have other advantages, such as lower cost and venues catering to small gatherings and weddings. Although the old saying is that size does not matter, when it comes to planning a wedding, it does. As the guest list grows, so does the expense. This can cause couples a great deal of planning stress. Make your guest list fit your budget, not the other way around. If you try to stretch your budget to include everyone and everything you want, you are bound to break the bank. Instead, figure out who and what is important to you. Hiring a wedding planner is oftentimes worth the expense - especially when it comes to decisions like these. If you cannot afford a planner for the whole wedding process, consider paying for a few hours consultation to get you started in the right direction. During the consultation, the planner can give you a realistic idea of costs and coordination of everything you have in mind. After you leave, you will be more prepared as a couple to decide how to spend your budget and time. Generally, a wedding with fewer than 50 people is considered small, though some may consider any guest amount under 100 to be small. If you have a small wedding, consider sending out photo marriage announcements afterwards to those who were not invited but would want to share in your newfound happiness. See Invite-06 at Fun Foto Invitations for an example. The wedding ceremony can private for a more intimate feel. Couples may choose to just have themselves, the officiator and a witness involved. 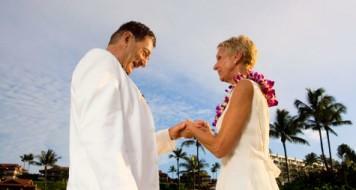 These private ceremonies usually involve the writing of personal wedding vows and an intimate affirmation of love. Ceremonies often have the immediate family present (parents, grandparents, siblings and any children), though not always. Sometimes close friends and relatives are also invited. Having a private ceremony allows the guests to feel more connected to the event. Often, the couple will ask everyone to participate in the ceremony in some way. Lighting candles, doing readings or performing music ways to involve everyone. Couples may speak about their relationship with everyone present or even write personal notes to them in the wedding program. The bridal party is optional, and many couples choose to have just a best man and maid of honor. Couples in their second wedding may opt to have just their children stand up with them at the altar. This can help transition the children into their new blended family. The grand ballroom of a hotel or a local convention center is not a good choice for small receptions. Instead, consider having the reception at a bed and breakfast, museum, country club, historic home, park shelter, botanical garden or winery. Options will vary depending on where the ceremony site is located and your budget. Some smaller reception venues may allow you to have the ceremony at the same place, like a wedding in the park followed by a reception in the shelter house's meeting room. Check with specific venues to find out. A restaurant is a popular choice for many couples who choose to have a small wedding. A banquet room can be reserved and a special dinner menu printed. Most will allow wedding cakes to be brought in from local bakeries if they do not make them at the restaurant. A morning ceremony followed by brunch is a pleasant alternative to an evening event for a small wedding. An informal backyard wedding is perfect for you to showcase your family's favorite recipes and culinary skills. Prepare everything in the days leading up to the wedding to keep prep time short the day of the wedding. Set things up buffet-style and let people help themselves. Hosting a cocktail reception is a terrific option for an elegant venue like an art museum. Serve hors d'oeuvres, appetizers and champagne while guests mingle and converse. Dessert-only buffets are great for afternoon wedding receptions. Hiring a reception band or wedding DJ is excessive for a small reception. Instead, make a CD of dinner and mingling music to play in the background; if budget allows, a string quartet or pianist would be perfect. The garter and bouquet toss are usually omitted from reception activities.Depending on the budget and location, you may be able to offer your guests an experience above and beyond the ordinary wedding reception. Beach weddings can be followed by a sunset cruise for everyone. If the wedding is near (or at) an amusement park or zoo, you can treat guests to a day of fun after a morning or early afternoon ceremony. Sports lovers may even treat guests to a skybox reception at their favorite ballpark! Small weddings are the perfect option for couples who want to forgo the big bash and have an intimate event with the people who matter the most. They can also be very practical, keeping couples within their planned budget. An intimate wedding can be the ideal solution for a variety of couples -- and one with immeasurable memories.